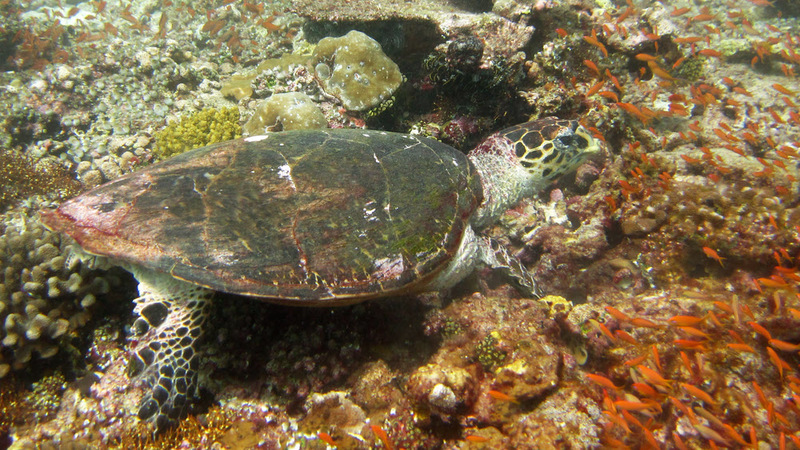 Hawksbill Turtle (Eretmochelys imbricata) at Himandoo Tilla. 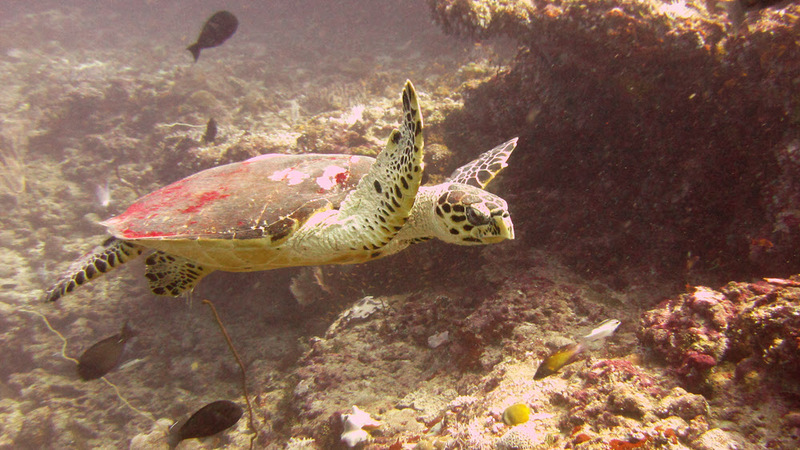 And another one at Shark Tilla (aka Fish Head). And a particularly large one back at Himandoo Tilla on a different day. 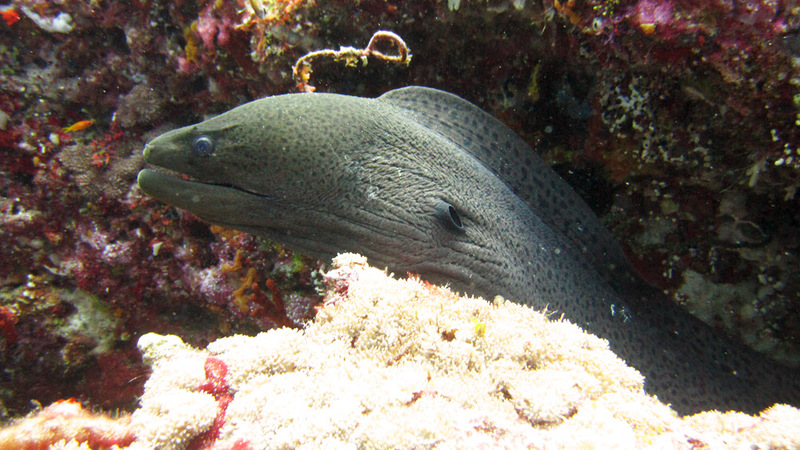 A Giant moray (Gymnothorax javanicus) at Shark Tilla. 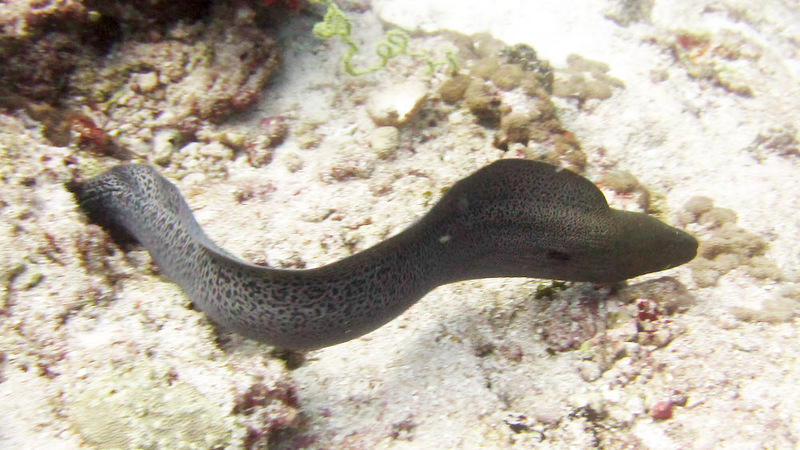 They usually lurk in a hole during the day, but this one, also at Shark Tilla, was swimming across the reeftop. 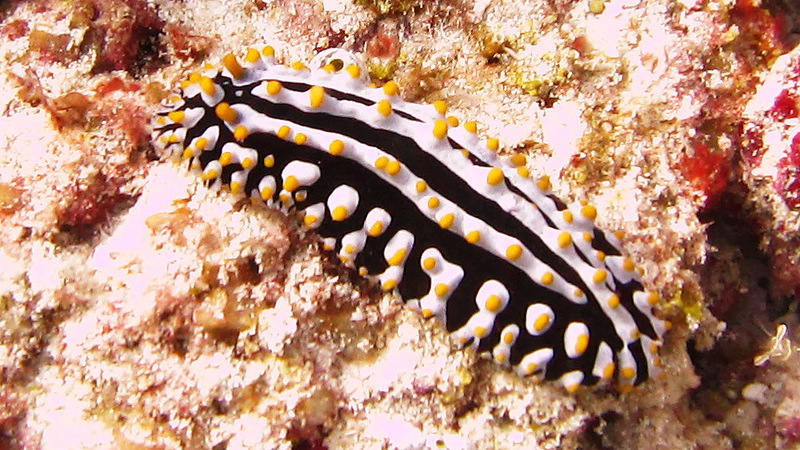 Common in the Maldives, a Varicose Phyllidia nudibranch (Phyllidia varicosa). 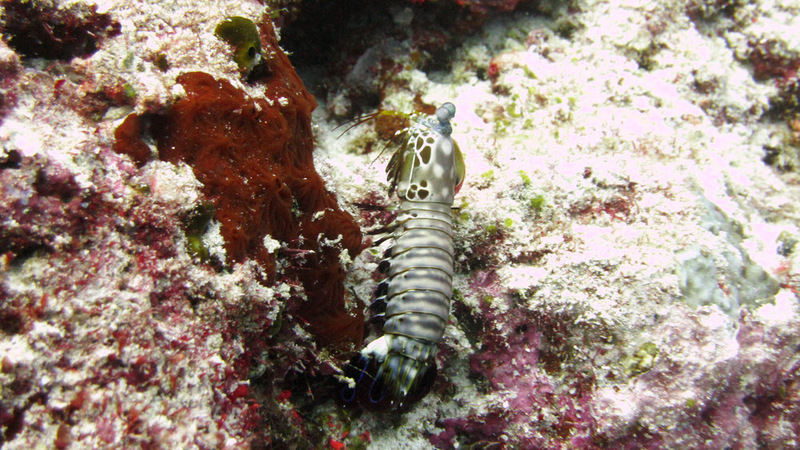 This one, at Thudufushi Thila, was about 5cm long. 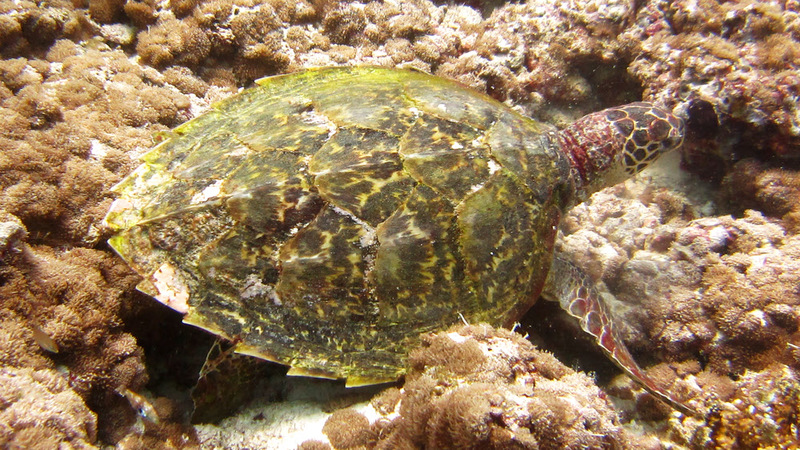 This much smaller one was doggedly trudging across a large expanse of sand at Shark Tilla. 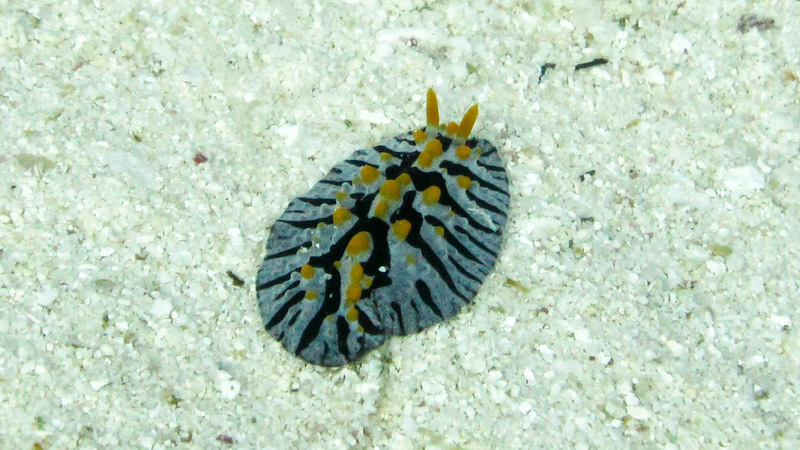 This object, about 10-12 cm across, was said to be the eggs of a nocturnal nudibranch, one much bigger than the usual Varicose Phyllidia you see during the day. 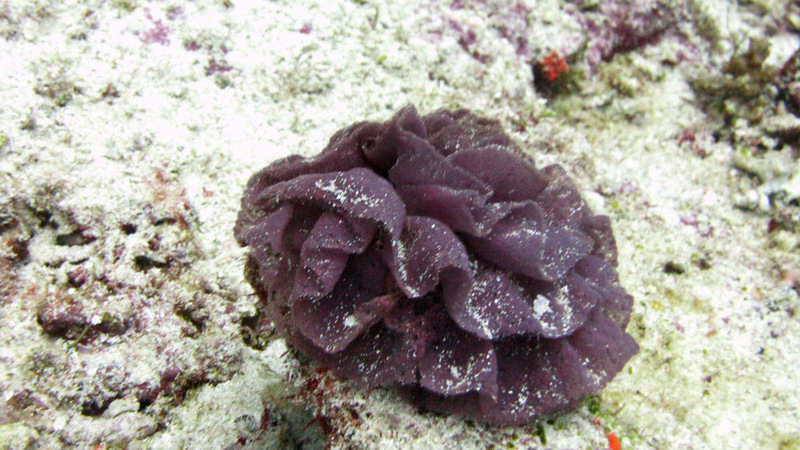 Probably the Spanish Dancer (Hexabranchus sanguineus). 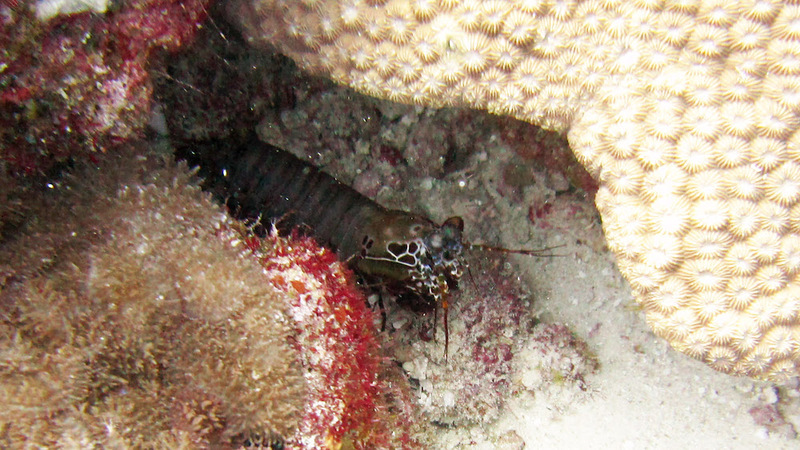 A Green mantis shrimp (Odontodactylus scyllarus), about 15cm long, scuttles across the reeftop at Shark Tilla. Another one backs into a hole at Shark Tilla.